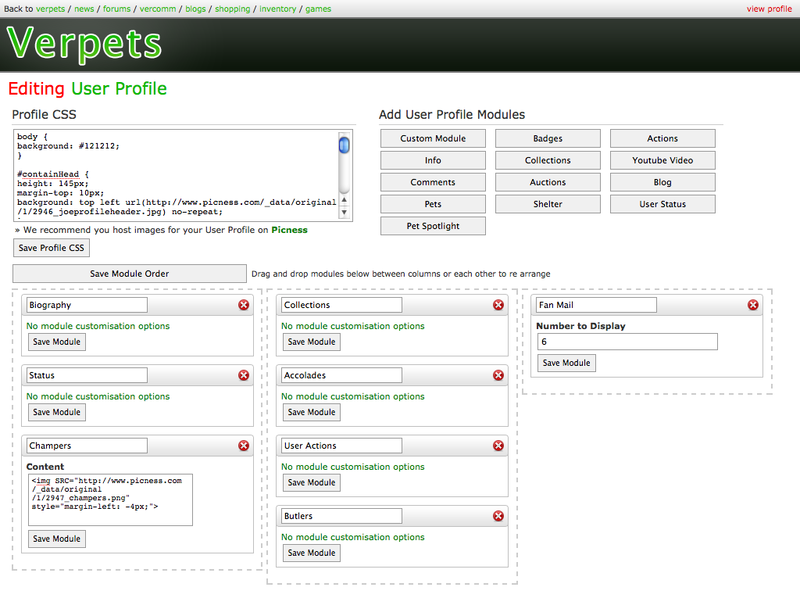 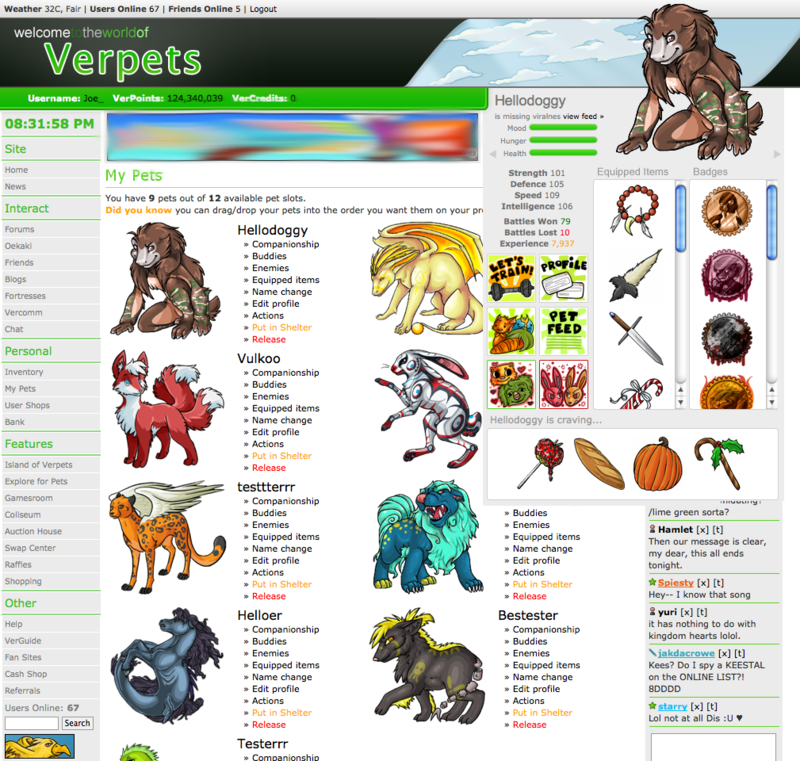 Verpets is a Virtual Pet Site with about 58,348 users. 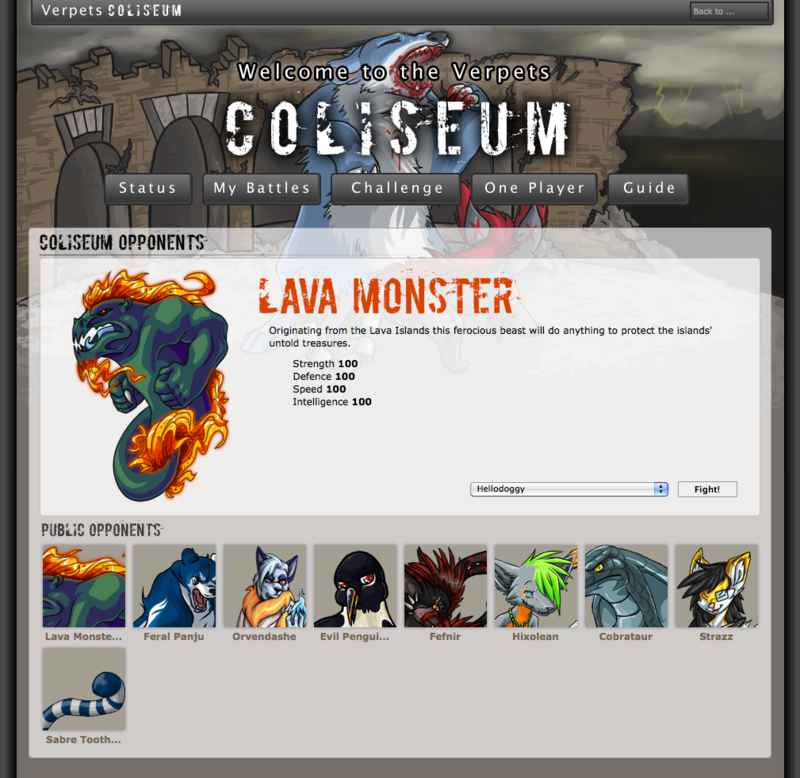 Here at Verpets we try as hard as we can to create a safe, fun, and exciting community where all sorts of people come to take care of a virtual pet, battle, make friends, play games and interact with the world of Verpets. 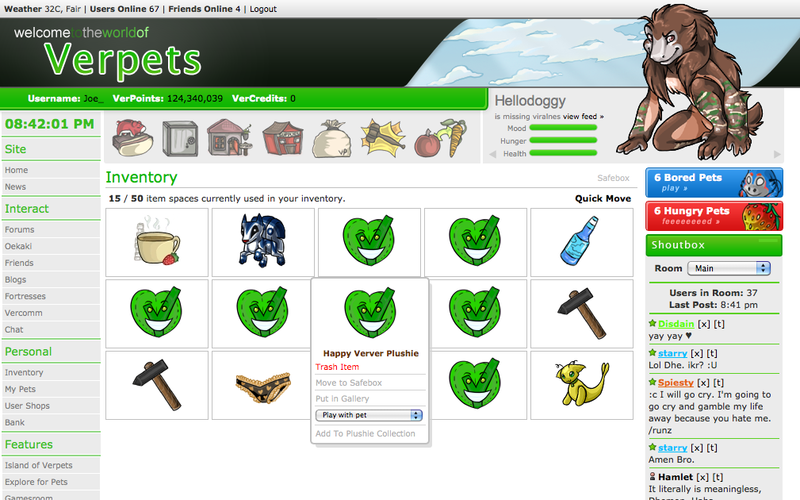 Whether you want to chat with friends or be the best of the best - Verpets is the place for you!